Riley B. King, known by the stage name B.B. King, is a blues guitarist and singer-songwriter acclaimed for his expressive singing and guitar playing. 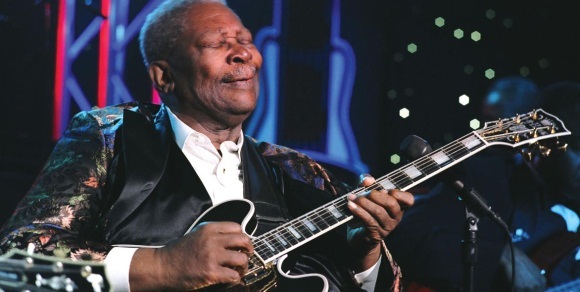 Rolling Stone magazine ranked him at #3 on its list of the “100 greatest guitarists of all time.” King introduced a sophisticated style of soloing based on fluid string bending and shimmering vibrato that would influence virtually every electric blues guitarist that followed.